If you have received a disappointing divorce settlement, have been the victim of non-disclosure or need an increase in maintenance from your spouse, you will want the very best legal representation. As top family lawyers, Vardags have won landmark cases in the Court of Appeal and the Supreme Court. 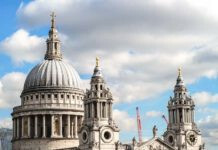 We work with the very best appeal barristers to develop innovative and novel arguments, whilst out in-house financial forensic team can uncover hidden assets across the globe. Vardags have taken on and transformed cases where other divorce lawyers accepted a disappointing result for their client. We will push the boundaries of the law, challenging and changing it when necessary. Whatever has happened in your case so far, we will fight your corner and get the best result possible for you. Where you are seeking a variation of existing maintenance, we will help you to demonstrate your financial needs and your spouse’s ability to pay them. Where possible, we will look to help you get your maintenance capitalised, ending your dependency on your spouse and allowing you to move on to a financially secure, independent future. My settlement was unfair and I want to appeal. If you feel you should have got more from your divorce, it may be possible to appeal your case. A successful appeal may well lead to a higher award or to increased maintenance. To appeal against a financial order, you will need to show that the judge was wrong in the way the final decision was reached. 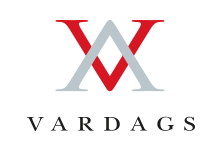 As experienced family lawyers, the legal team at Vardags will help you prepare your case for appeal. We will review the initial judgment and advise you whether it is possible to appeal. The dynamic approach our lawyers take meant that we are used to challenging judgments and working to change the law – we will help you put forward innovative arguments in support of your appeal. Throughout your appeal, we will work with leading family law barristers to put forward your case and help you to get your fair share. If you do want to appeal, it is vital that you act quickly. You may have to issue your appeal with a few weeks of the original decision. The sooner you get in contact with us, the sooner Vardags can help you. My spouse lied during divorce proceedings and I want to reopen my case. 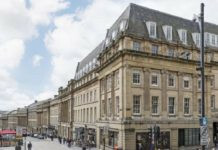 Following the landmark decisions of Sharland v Sharland and Gohil v Gohil, it is now much easier to re-open your case if you think your partner lied during divorce proceedings. Fraudulent non-disclosure, i.e. hiding assets and lying about your wealth, can now lead to a new settlement, no matter how much time has passed. It will be up to your partner to show that their lies were not relevant to the outcome. The court retains the power to set aside an order because of asset hiding, no matter how long has passed since the divorce was granted. If you have evidence that your spouse failed in their duty of full and frank disclosure, you may well be able to go back to court for a bigger award. Vardags have vast experience in tracing assets across the globe. Our in-house forensic accountancy team will analysis your former spouse’s financial history and help you demonstrate that they hid wealth during your divorce. If you have been denied your fair share by your spouse’s fraudulent and dishonest behaviour, we can help you bring them back to court and get the just settlement you deserve. I got divorced abroad and got a terrible settlement. In many countries, a couple can divorce with little or no financial support being given to the poorer party. Sometimes, you might not even know about the divorce until it has already been finalised. That does not prevent you from seeking the support of the English courts. 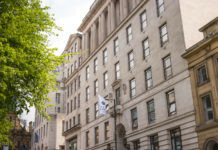 Under Part III of the Matrimonial and Family Proceedings Act, the English court can make a financial award for where there was “no, or no adequate” provision in overseas proceedings. The amount that an English court will provide depends on your circumstances, including the extent of your links to this country. The court will, at the very least, want to ensure your reasonable needs are met. As experienced international family lawyers, Vardags are used to contesting Part III claims. We will help you get your claim started (including getting permission from the court to bring it) and ensuring you get your fair share. In 2016, Vardags obtained the biggest Part III award ever made for one of our clients. As with our other case we will apply our knowledge of the law and our financial understanding to uncover your partner’s assets and build up the true picture of their wealth. We will ensure your needs are properly argued and set out why you should get a fair share of the assets. If you have suffered because you spouse has obtained an unfair divorce abroad, we can help you. My ex is now far richer than before and I think I should have more. If you spouse’s income has increased significantly and you receive ongoing maintenance, you can argue that the amount paid to you could also go up. This will often be informed by what your income needs are, but the court may even order a surplus above what you need. If your ex has increased their capital wealth substantially, it may be possible to capitalise these payments ending your monthly reliance on your spouse. As top family lawyers, Vardags can advise you when it is appropriate to make an application for variation. If you think that your partner hid their income potential during your divorce proceedings, this may count as non-disclosure. Their dishonesty could mean that you are able to re-open your entire case and obtain not only higher maintenance but also increased capital provision. My ex hasn't paid me what the court ordered (and is perhaps hiding assets internationally). If your partner is breaking an existing order, there are numerous ways of enforcing it. The court can divert a portion of their salary directly to you (garnishee order), give you a charge over property or shares or even transfer bank accounts over to you. If your partner willfully and deliberately refuses to satisfy an order, this can amount to contempt – the court can fine and even jail them for this. Vardags are experienced at enforcing family court orders and can help you get the money you have been awarded. Our in-house forensic accountancy team can help you locate assets, both in this country in beyond, whilst our lawyers will advise you on how best to enforce against these. Due to our international experience, Vardags can help even when assets are hidden abroad. We are used to searching across the globe for assets and can advise you how to get orders that are effective in other countries. My ex is a danger to me and/or the children. If you fear violence or are subject to harassment the court can and will protect you, even after your divorce. For victims of domestic abuse (be it physical, verbal or emotional harm) the court can make non-molestation orders and occupation orders each giving you comprehensive legal protection. Non-molestation orders (“non-mols”) are designed to protect your from harassment. Normally, they will prevent your ex-partner from harassing you and threatening you with violence. Sometimes they will bar them from contacting you directly and from going near you.